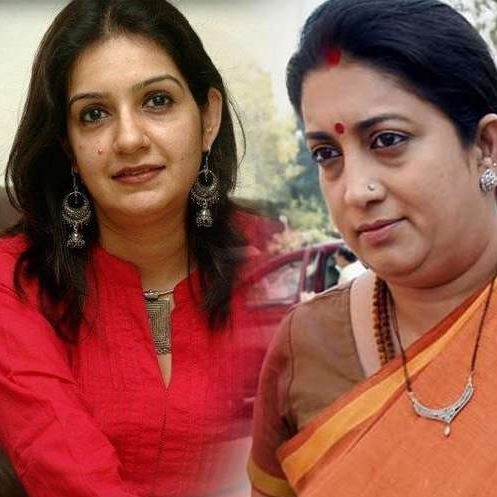 After Union Minister Smriti Irani declared she's not a graduate in a poll affidavit, Congress leader Priyanka Chaturvedi said a new serial named 'Kyunki Mantri Bhi Kabhi Graduate Thi' will start soon. "Its opening line will be 'Qualifications ke bhi roop badalte hain, naye-naye sanche mein dhalte hain, ek degree aati hai, ek degree jaati hai, bante affidavit naye'," Chaturvedi sang. Earlier, in her affidavit form, Irani said she passed secondary school examination in 1991 and senior secondary school examination in 1993. In the category of highest educational qualification, Irani’s form says “Bachelor of Commerce Part-1” from the School of Open Learning (Correspondence) the University of Delhi with “three-year degree courses not completed” in brackets. Reports said that this is the first time Irani has specified that she had “not completed” her three-year degree course. In 2004, Irani’s nomination affidavit for the Chandni Chowk constituency claimed that she completed a Bachelors Degree in Arts in 1996 through correspondence. But in the 2014 election, Irani’s document mentioned Bachelor of Commerce Part-1, School of Open Learning (Correspondence) University of Delhi, 1994. At an event in 2014, Irani had also claimed that she had a degree from Yale University. The Congress has often accused her of making contradictory statements about her educational qualifications.